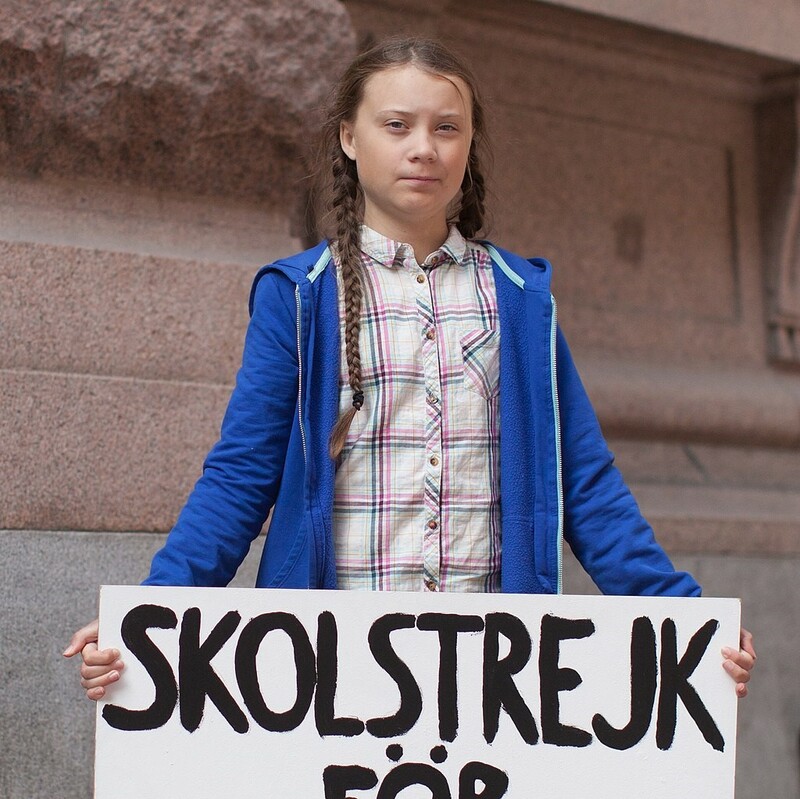 Climate change activist Greta Thunberg in front of the Swedish parliament in Stockholm, August 2018. Today in Strasbourg, President Antonio Tajani met with Greta Thunberg, climate change activist and symbol of the “Fridays for Future” movement. “Greta has rallied millions of young people in defence of the environment. I described everything that the European Parliament is doing to fight pollution and told her to never to stop fighting for the values she believes in. I want to say to all young people that the European Parliament is by their side and that their call to action has been heard. The European Union is already at the forefront of the fight against climate change. No one else in the world has done more to reduce emissions, save energy and produce it from renewable sources. As other major powers step back from this crucial battle, Europe sets the bar high, with increasingly ambitious environmental targets,” said President Tajani after the meeting. “Between 1990 and 2016, we reduced greenhouse gas emissions by 23 %, a global record. More recently, we banned the use of non-recyclable disposable plastics, such as plates, cutlery, straws and cotton swabs, from 2021 onwards. In addition, we defined new measures to reduce car emissions by 37.5% by 2030. This week we will also approve new targets for a 30% reduction in emissions for heavy vehicles. We also continue to promote more sustainable transport infrastructure, such as high-speed rail, which reduces road freight traffic, which is most harmful to the environment. But that is not enough. Our goal is to reduce net greenhouse gas emissions to zero by 2050. Only by involving industry and investing more in technological development can we accelerate the transition to a sustainable economy. That is why Parliament has proposed to devote at least 1/4 of the next budget to sustainability and 35% of research funding to combating climate change,” added Tajani. According to the latest UN report, the next 12 years will be crucial to avoid disaster. The costs of extreme weather events and floods could cost Europe several hundred billion euros every year. The European Environment Agency estimates that by 2030, 50 % of the EU’s populated areas will be at risk of water scarcity. Droughts and famines in Africa could affect 420 million people, causing massive migration flows to Europe.